Meet our 2018 winter commencement speaker, Dr. David Pyle. A fear of failure can keep us from experiences that might serve as valuable teaching moments, says Dr. David Pyle. “The fear of public speaking, for instance,” he says with a laugh. 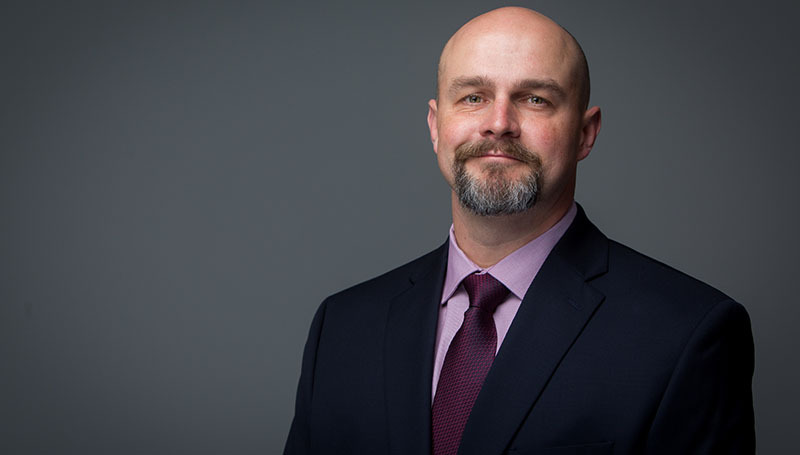 Pyle, the principal of Carl Junction High School, was selected to serve as the keynote speaker for the 71st commencement ceremony at Missouri Southern State University. He earned his bachelor of science degree in education from Missouri Southern in 1997, and also holds master of science and specialist degrees in educational leadership. He’s successfully defended his doctoral dissertation at Southwest Baptist University earlier this month. He taught science for eight years at Golden City High School, Neosho High School and Carl Junction, and also spent seven summers teaching in the Crowder College Upward Bound program. After serving as assistant principal of Carl Junction High School for five years, he was promoted to principal in 2010. In 2016, the Missouri Association of Secondary School Principals (MoASSP) named him as High School Principal of the Year. He was selected for the honor from more than 600 high-school principals around the state based on his impact in the areas of collaborative leadership, curriculum, instruction, assessment and personalization of the learning environment. That collective effort was recognized again in 2017, when Carl Junction assistant principal Theresa Wilson was named Assistant Principal of the Year by MoASSP. Pyle is an active member of MoASSP and currently serves as a membership and advocacy representative. He and his wife, Jill – a Missouri Southern graduate who serves as an adjunct faculty member in the Dental Hygiene Department – have been married for 23 years. They have two adult children, Dylan and Lily.